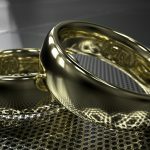 Do you want to buy a ring for you man, but are having trouble choosing? Our three tips should help you with your decision. Does your partner like to be outdoors, or have a job where they have to make frequent use of their hands? If so make sure you go for a hard metal like platinum to minimise damage to the ring. Is your partner bold, or is their style more reserved? Thin bands are perfect for those who would like an understated ring, whereas a thick band, or one containing a diamond is ideal for those who would like something a little more elaborate. 2. What occasion is the ring for? 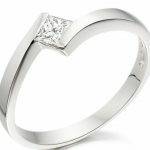 Are you looking for a wedding ring, an engagement ring, or just a gift for your partner? 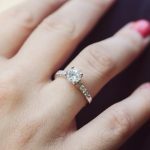 The look of the ring can be more important if your partner is going to wear it every day, like in the case of a wedding or engagement ring, as it is something that will have to look suitable in every occasion so take this into consideration. As mentioned before it is important to consider which metal is best for the everyday activities that your partner partakes in as some are more durable than others. 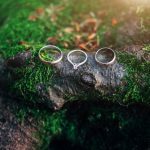 When deciding on which metal to go for you should also consider the fact that certain metals, for example Titanium, cannot be adapted to make the ring smaller.